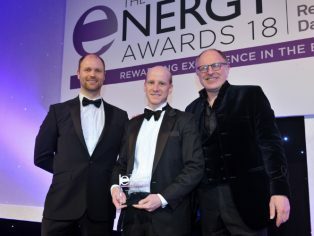 Breathing Buildings, the UK’s leading provider of controlled hybrid ventilation systems, is delighted to announce that it has won a prestigious Energy Award. Recognising the vital importance of good indoor air quality and thermal comfort in schools, the Cambridge-based company’s new energy efficient NVHR® (Natural Ventilation with Heat Recycling) hybrid ventilation system has been named as the winner of ‘Energy Efficient Product of the Year HVAC&R’. 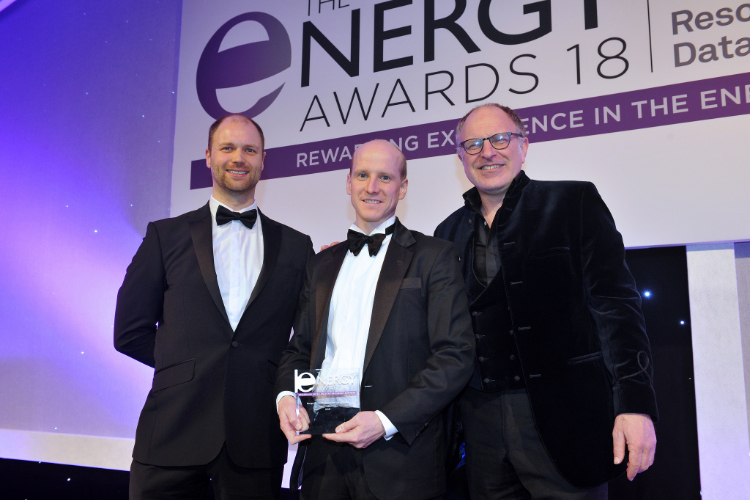 The Energy Awards 2018 were announced at the London Hilton, Park Lane on 5th December where over 500 of the energy industry elite celebrated the very best achievements in the industry. This latest win follows hot on the heels of Breathing Building’s success at the HVR Awards 2018 in October where its NVHR® won the ‘Commercial/Industrial Ventilation Product of the Year’ category. Both award wins are particularly timely since they come shortly after the launch of the new 2018 edition of BB101: Guidelines on ventilation, thermal comfort and indoor air quality in schools. The 2018 BB101 has added hybrid ventilation as a design solution for schools and focuses on the vital balance of indoor air quality, thermal comfort and efficiency. The NVHR® was recognised at both awards for its ability to tackle energy efficiency and environmental issues and to provide excellent indoor air quality in schools and other facilities. The new NVHR® from Breathing Buildings is designed specifically to meet the robust ventilation criteria set out for schools. Its patented ultra-efficient facade-based mixing ventilation allows single-sided, enhanced natural ventilation in deep plan spaces whilst making the most of internal heat gains to deliver superb thermal comfort and indoor air quality. Breathing Buildings’ new NVHR® is the next generation of energy efficient hybrid ventilation, offering almost 50% reduction in energy savings and so operating costs. Boasting the highest energy efficiency and air flow within the acoustic limits required for its school application, NVHR® comprises both natural and mechanical ventilation. Allowing low-energy hybrid natural ventilation, even in buildings with limited facade and roof space, highly efficient mixing fans mitigate cold draughts in winter and provide a ventilation boost in summer. Fitted with external and internal temperature sensors and an intelligent controller, the system monitors conditions to create an ideal indoor environment, boosting both productivity and wellbeing. NVHR® optimises indoor air quality, comfort and efficiency by automatically switching between natural, hybrid and mechanical ventilation, maximising benefits. Designed particularly to provide enhanced single-sided, hybrid natural ventilation in classrooms, NVHR® is suitable for use in almost any building due to its small size and can be deployed in offices, meeting rooms, public areas and other deep plan spaces. NVHR® has three modes: Summer mode, Winter mode and Summer boost. In winter the heat recycling strategy for ventilation offers huge heating-bill savings for schools while providing good ventilation. The mid-season natural ventilation mode enables the unit to maximise the benefits of passive ventilation. The Summertime boost function fully opens the unit’s damper to maximise ventilation and cooler air. Featuring easy-to-use controls with manual override NVHR® allows schools without a BMS to benefit from the technology while also offering full BMS integration. Room temperature and CO2 sensors further ensure comfort in schools and compliance with BB101. Breathing Buildings is committed to excellence in school ventilation design and has launched a new sector-specific brochure titled ‘Ventilation for Schools’ which can be downloaded from www.breathingbuildings.com/knowledge/ventilation-in-schools/schools-brochure/. For further information on new NVHR®, as well as other products and services offered by Breathing Buildings, visit www.breathingbuildings.com. To find out more about the Energy Awards visit www.theenergyawards.com.